This is a sponsored post written by me on behalf of TruMoo Milk for IZEA. All opinions are 100% mine. While the end of the school year is still over six weeks away here in the Poconos (thanks to Mother Nature and all the snow days), summer will still be here before we know it. Those weeks will fly by. Kids in other areas are already getting out. My nieces and nephews in Indiana get out much earlier! Whether your kids are out today or still stuck inside for another month, this mixed-up TruMoo Double Chocolate Pudding Pops idea will have them celebrating! Remember those old-school pudding pops that we used to love when we were kids? I can’t find them ANYWHERE now! So I decided to make my own. This is such a fun way to celebrate the end of the year! Surprise your kids on the last day of school with this fun TruMoo Mixed Up Pudding Pops bar! Have it all set up and ready to go! After all, nothing says “summer” like a cool, tasty treat! How to make: 1. Start by prepping your mix-in area. This is important because once you mix the pudding you have to work fast. Get your mix-ins into bowls and your freezer pop molds all ready to go. 2. Follow the directions on the pudding mix, but use your TruMoo in place of the regular milk. Stop at the part where it tells you to put it in the fridge. Thankfully, since you’re skipping that step, you have a little more than 5 minutes to work! Mine set in about ten minutes outside the fridge, but I think it really depends on how hot or cold it is in your house. 3. Pour some of the pudding mixture into a measuring cup with a little lip spout. Trust me, you want to do this. It makes it so much easier to pour into the molds. 4. Pour a little pudding mix into each ice pop mold, then let your kids add the mix-ins of their choice. Tell them not to overdo it, you want to leave plenty of room for more pudding mix! IF everyone agrees that every pop should be the same, you can stir your mix-ins into the measuring cup itself and spoon the mix into the molds. It’s more fun to make it a make-your-own pudding pop event, though, in my opinion. 5. Top off each pop mold with more pudding, insert the stick and freeze for about three hours. Run the mold under warm water to get it out, then enjoy! 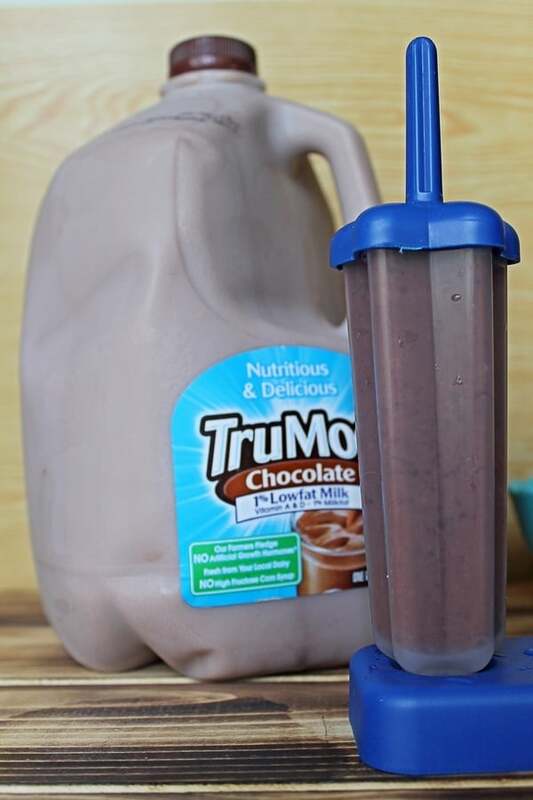 Fun variations for your TruMoo Mixed-Up Pudding Pops Other mix-in ideas include: finely chopped nuts, dried fruits, crushed cookies, crushed graham cracker pie crust, or carob chips (for a healthier spin on chocolate chips). Not a fan of chocolate? Use Vanilla or Strawberry TruMoo and vanilla pudding mix to make different flavors! Or Vanilla TruMoo with, say, Pistachio Pudding mix. The flavor possibilities are endless. Alter your mix-ins to complement the different flavor. Even if I do find those pudding pops in stores again, I won’t need to buy them now that I know how easy it is to make my own. Especially since I tasted them made with TruMoo Chocolate Milk! Oh, my, goodness! They’re double-chocolate pudding pop dreams come true! 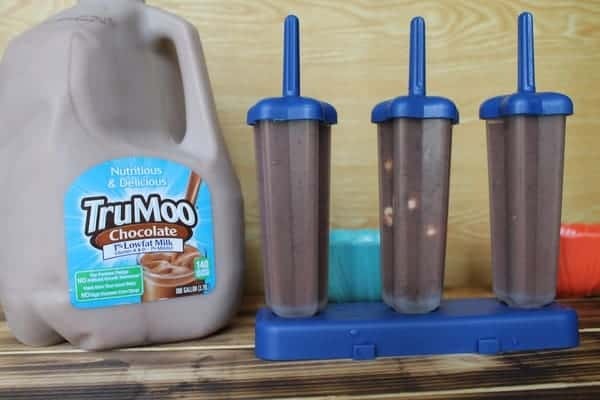 We always have TruMoo in the house, so it’s easy for me to whip up a batch of these any time Jake wants. He’s not a big fan of ice-cream (he does NOT get that from me! ), so these are the perfect cool treat. I love that he’s such an avid fan of TruMoo because it helps him get his calcium, protein and vitamins A & D. Plus it’s hormone-free and devoid of high-fructose corn syrup. For product information and availability, visit TruMoo online.Need more delicious recipe ideas? 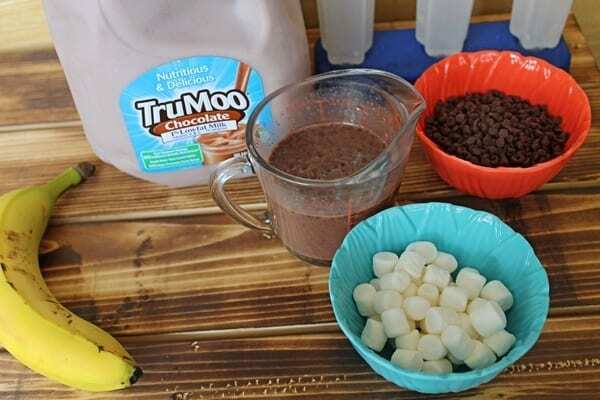 Find TruMoo Recipe inspiration on Pinterest. Don’t forget to Join the TruMoo community on Facebook. Do you do anything special to celebrate the last day of school? Tell us about it in the comments! These look so tasty and fun! My grandkids would love them! Thanks! My grandkids would love this drink. What a great idea! I can’t wait to try this for my grandchildren. They will love them! Thanks! I’ve already got it pinned! Love pudding pops but haven’t had them in a long time, will have to make some this summer! Sounds like a fun, yummy summer treat that my kids would love! Our grandkids love chocolate pudding, so why not chocolate pudding pops? Great idea! Thank you for sharing! 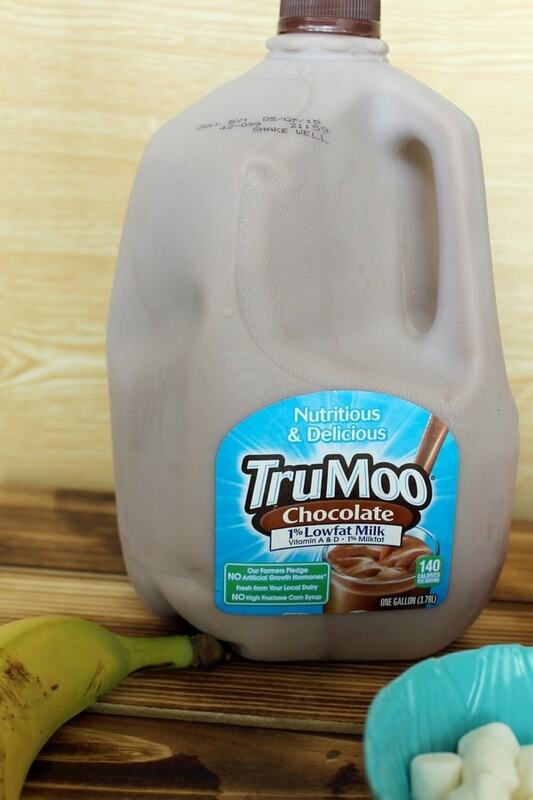 We love TruMoo chocolate milk. I will have to get some Popsicle makers, so that we can make these. Goodness gracious, those pudding pops look and sound amazing. 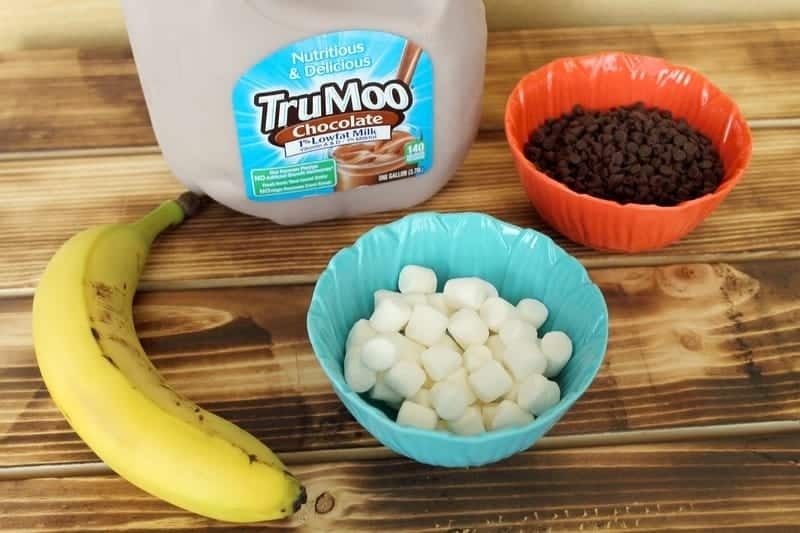 I buy Trumoo and I’d love to try to make these for the kids this summer. We get out in 3 weeks here. They are excited about it. These look delicious and look like a recipe my mum used to make when I was little! if you need a taste tester, please think of me! I buy trumoo all the time and my girls love their chocolate milk. I have never tried a popsicle though.. These sound tasty. I’d definitely make these for my husband. I wish that I could reach right into the computer and eat one! looks great! These look and sound delicious! I wish we had TruMoo. We don’t have it in Canada but I’m pretty sure my kids would love these! Those double chocolate pudding pops sound like a great way to celebrate the end of school! We don’t do anything special, other than go home and be happy that we can start sleeping in. I need to get some of these molds…my kids are huge fans out of smoothies and I always think about making them into popsicles but then realize that I keep forgetting to get molds! That looks like such a delicious treat! I’m hoping we can do a lot of fun stuff this summer and treats like that will be plenty! Wow, this looks like a great recipe! I have to try it with my kids! I haven’t made pops with them this year yet – but, hey, the summer has not even started yet! Thank you for a great idea! Cool! This recipes is probably for the young and old too! Haha. I would try it for myself. I can’t imagine anyone kid or adult not loving one or more of these–I mean really–one would be nice–but two would be heaven! I LOVE TruMoo. We have chocolate milk in our house everyday. My son loves it. I will have to try the recipe for the pops. Looks delicious! That is abso-freaking-lutely fantastic! I can’t wait to make these. Thanks! Genius idea! I never thought to make homemade pudding frozen pudding pops! I think my kids will think the moon has change course if I make these for them! This is such an awesome and simple to do recipe.My grandchildren will love this.I would never have thought of doing this.Thank you for posting. This is such a great idea for making frozen pops. I love the fact that they are made from wholesome ingredients. Mmm, looks delicious! Could be fun mixed with some peanut butter too! These look so delicious and refreshing. I will have to pick up some TruMoo and try this recipe. Oh how fun! I loved pudding pops as a kid. I would love to try making these, the kids would enjoy them. You know what, I’ve made tons of pops, and never thought to include anything like marshmallows and chocolate chips in them! What a great idea! Now that’s the way to make a pudding pop! This is a recipe everyone in our house would love. I can see where these would be a big hit in just about any household with kids. However, I know my husband would love these too, LOL. I might have to make them. I have some really fun popsicle molds I’ve been wanting to try out. I’ll have to try this recipe! Those look so good. I would make the banana split pops and also add some cherries into them! Awesome! With the warmer temps coming these are going to be perfect! I see some great summer photo opps featuring these pops! My girls would love this. I love TruMoo. It is the BEST chocolate milk. What’s in The lunch Box Today?